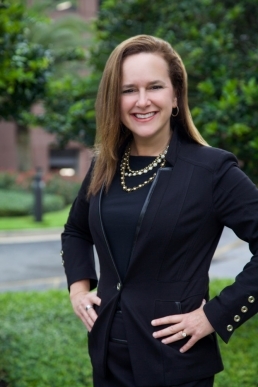 Rebecca L. Palmer is a Family & Marital Law attorney practicing in Orlando, FL. Palmer has a broad background in providing intimate legal advice to those in need at a major time of change in their life. When she began her practice over 24 years ago she did so to be in the courtroom for general litigation. Then she learned while litigation is sometimes necessary, often the best route is to use the best negotiation techniques possible. As such Palmer focuses on alternative dispute resolution and collaborative law issues for domestic disputes, but knows how and when it is time to go to court. Palmer’s matters range from difficult divorces, mediation, adoption, complex financial issues and custody cases. Palmer is a Supreme Court Certified Family Mediator and brings experience in all methods of case resolution, including mediation, arbitration, facilitation and negotiations to serve individuals as well as businesses. She has extensive experience with complex financial issues as well. Palmer has handled dividing celebrity assets with an eye to the family behind the news, and was on the legal team representing Elin Nordegren in her divorce from Tiger Woods. Palmer also loves her community. Palmer has been President of the Central Florida Association of Women, the President of the Orlando Young Professionals, an adjunct professor in the areas of Legal Ethics, Business Law, Trial Techniques and Family Law at Stetson University, Barry University, Southern College, and the University of Central Florida. Palmer also taught for several years at Emory University for the trial advocacy program. She is a published author and speaker, and appears frequently on Fox 35 News Orlando.